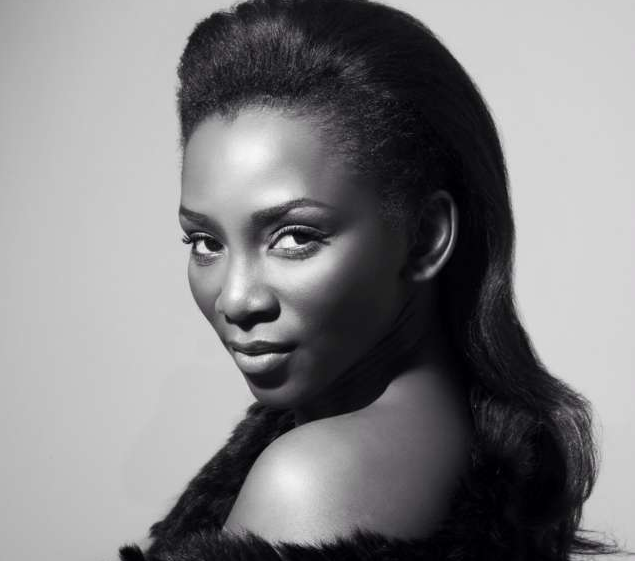 Arguably Nigeria’s most famous actress Genevieve Nnaji, 36, is making solid moves into expanding her business empire. She already has a strong foothold in the movie industry and a boutique fashion label. Now it seems that the queen of Nollywood is moving into the real estate business. Yesterday (Monday, April 25, 2016) Genevieve Nnaji shared several photos of uncompleted houses in an estate in Abuja. This latest pictures strengthen the rumours that Nnaji is building an estate in the capital city. In January, 2016 Genevieve Nnaji gave us a glimpse of the estate in Abuja. Initial reports suggested that she had a house in the estate but from the look of things she might have a stake in the estate. The block of expensive apartments is called Carter’s Court and it is situated in Apo, Abuja. If Genevieve does have a piece of the pie in this real estate business then that’s a lot of revenue coming to her. Within the last few years Genevieve Nnaji has been diversifying her portfolio. In November 2014, the actress re-launched her St. Genevieve clothing line. “The line has been in existence at least officially since 2008. It’s been something I have been doing low key and in a small quantity. I figured it was time to take it on a larger scale and take it public but I really wanted to do it properly” Genevieve Nnaji told Pulse TV during the re-launch of her clothing line. According to fashion enthusiasts the first collection of St. Genevieve sold very fast and the industry is waiting for Genevieve Nnaji’s latest collection. Also Genevieve Nnaji has moved from the front of the camera to behind it. Last year she produced a movie titled ‘Road To Yesterday’ which according to Wikipedia earned N30 million at the box office. The actress who starred in the movie has plans to produce more Nollywood movies. Genevieve’s empire has made a lot of cash from endorsements too. She has multi-million Naira endorsement deals with Amstel Malta and Etisalat which make her one of the highest earning celebrities in Africa. Her net worth is estimated to be over N100m. If her real estate business and movie production gig pans out Genevieve Nnaji would rake in a lot of money within the next 5 years. Right now she is laying the foundation to her empire.